My Borther : "What is the landmark of Singapore?" My Borther : "We will go there, right?" My Brother : "How many Merlions does Singapore has?" Me : "Many, I think"
My Brother : "How come? landmark suppose to be one right?" That was a short conversation between me and my brother, before we traveled to Singapore last February I asked him to research about the country by himself. It was his first time to go to Singapore and it was my third time. 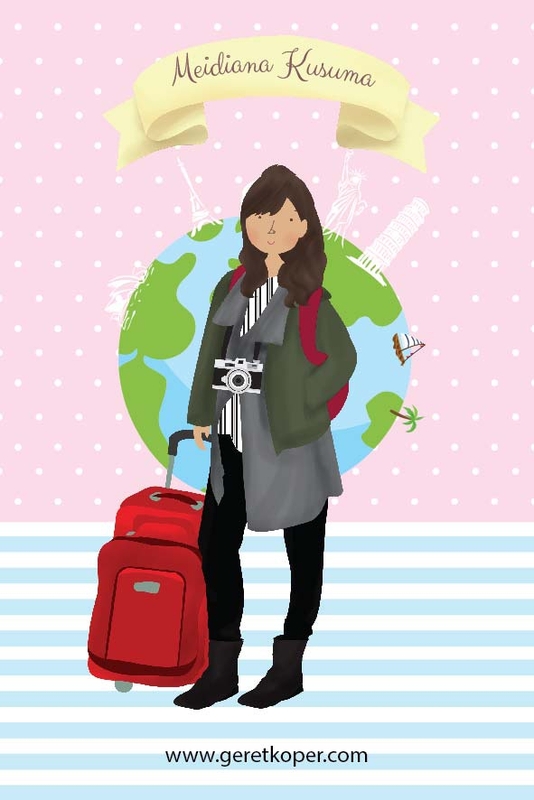 I don't wanna be just a guide, I wanted him to make his own itinerary. He pointed out the Merlion that he wanted to see and I show him another Merlion that I've found in Singapore. 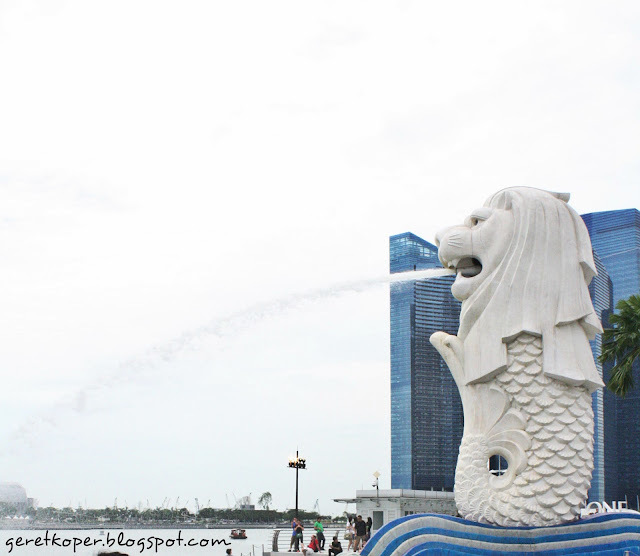 Well, what is Merlion anyway? Merlion is a mythical creature with lion head and fish body shape, a half lion half fish. 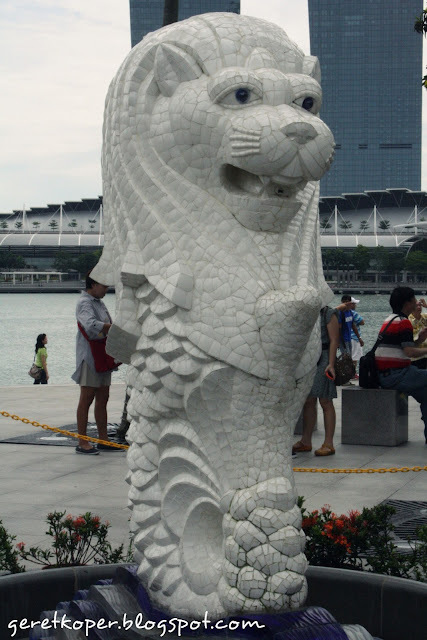 It is a symbol of Singapore, It said that the lion head represents "Singapore" itself (Singapura) means lion city, meanwhile the fish body of Merlion represents the Singapore's origin as a fishing village. 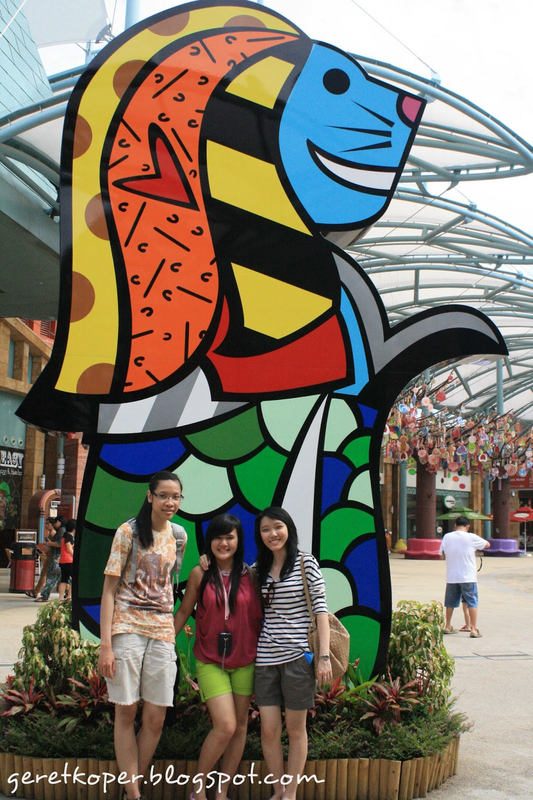 Finally we hunted these Merlions around Singapore, do you know where are they? The famous one available in the city center of Singapore, located between Esplanade, Singapore river and Marina Bay Sand, using MRT is the easiest way to reach it. We can use North South Line or East West Line and alight at Raffles Place station and then walk to the park. There are 2 Merlion statues in this park, the big one is the Tourist most favorite photo spot who spurts water from its mouth and the little one near it who don't spurt water. 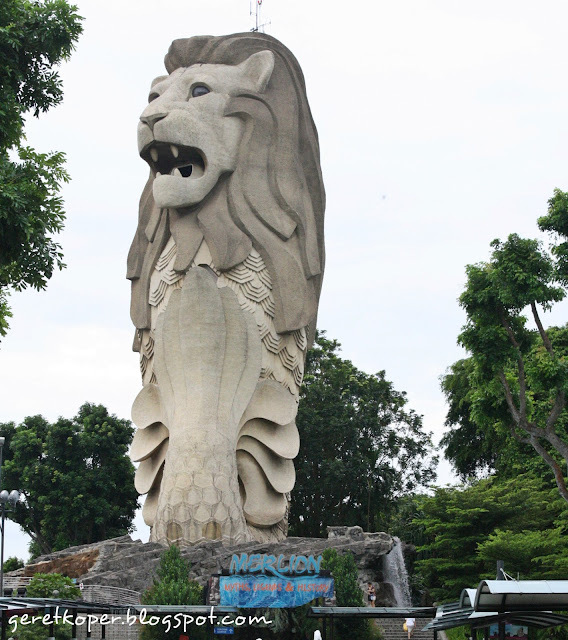 This huge statue located in Sentosa island. How to reach it? well, there are many kinds of transportation to reach sentosa island, Bus, Sky Train, Taxi or we just can simply walk. I chose Sentosa sky train from Vivo city 3rd floor, it costed me S$ 3 4 for round trip. To visit Merlion Plaza, alight at Imbiah station. There is also a Museum inside that huge Merlion. eh? what is it exactly? hehehe I named it myself, because this Merlion is becoming a cartoon and colorful. It also located in Sentosa Island, if you want to visit USS, Hard Rock Cafe, or SEA aquarium you may find it. It located between Universal Studio globe, Candylicious and Chilis restaurant. Maybe there are another Merlions in Singapore and perhaps you can find one on your visit to Singapore. yaapp, yg merlion plaza kak? eh apa ada lagi?? Gw tau nya cuman yg di depan Esplenade aja, yg menghadap ke marina bay sand.